As you enter this cozy beach house you notice they brought the colors outside indoors. Sky blue, gold, brown, and turquoise are themes throughout this home. You have a comfy sofa, love seat, and chair to relax and enjoy some TV in the evenings or for an afternoon nap and also the owner has provided wireless internet for your entertainment. If you are eating in the dining area has seating for 4 at the table and 2 more at the island between the kitchen and the living area. This home is equipped with all the appliances and dishes you need while you visit the Gulf coast. You also have a washer and dryer to do any laundry needed while you are visiting. This home has linens for each bed and towels for each guest staying up to 7. There is also a Pack -N-Play for the infants. To rest after those long days in sun or lounging at the pool, there is a king-size bed in the master bedroom with a beautiful comforter featuring the outdoors inside theme colors of sky blue and brown. This bedroom has its own private bathroom with tub and shower combo and a nice vanity with plenty of counter space for your sunscreen, hairbrush, and toothbrush. The second bedroom shares a bathroom with the living area and the 3rd bedroom. If you are looking for peace and quiet just minutes from the Gulf of Mexico, fishing, golfing, and amusement parks, the Rookery 3402 is the place for you. Give us a call to book today! This condo does have internet access! "The overall experience was great. The only improvement I believe could be made was the beds. Both the king sized bed and queen sized bed were very uncomfortable. " "Thank you for taking time to leave a review! We pass on the helpful tips to the owners! " "great stay. Parking was a little crowded having a boat and several vehicles but expected. Just be sure to get what you need before you leave gulf shores. In their defense I could have parked boat across property but didn't want to unhook every day. " "The most family oriented place for me and my kids. I love the space and the senery is amazing. " "Rookery does have an awesome view of the bay! We are so glad you enjoyed your stay! Leave us a review on our Facebook page to spread the word, and please come back and stay with us again!" "Nice space to bring your family. Had everything we needed. Was cozy and easily felt like home. The only negative was it wasn't on the water. " "Thank you for leaving us a review! Hopefully, you will visit us again and we can get you something on the water!" "Great to hear! Relaxing is what vacation is all about!" "We truly had a wonderful vacation. It is a short drive across to the beach. The pool was wonderful as well. The house was perfectly equipped and very spacious for my family of five. I can't wait to go back! I appreciated being able to get in early the day we arrived! Sunset is the easiest company I've ever worked with! Thanks again for a wonderful week! " "Yay!!! That is what we love to hear. We strive to make your vacation as relaxing and trouble free as possible!" "The location was great. A very nice, quiet location close to the beach and two different pools. We had a great time down at Fort Morgan and look forward to coming back. " "Wonderful place!!!!! Not on the beach, but very close proximity. Everything you need is in this house. AND the towels are blessedly wonderful! Very clean. Beautifully landscaped. The management was awesome and funny! Loved the whole experience. I normally stay in Gulf Shores, but chose Ft. Morgan this time........I am glad we did. Not near as crowded and a person still has everything right there close to this house. We even got stung by a jelly fish!#newexperienceanditdidntstinglong!" "Whoop! Whoop! We are so glad you had the perfect vacation in the perfect back and see us!" "We took our 3 children to the beach for the first time recently and had an amazing experience. The condo was perfect for us with plenty of space. We loved the nearby beach and the slower pace of the area in general. Will define toy be going back!!!" "House was nice. Floors in kitchen den area dirty. Not just sand but black bare foot bottoms. "Sorry about the kitchen floors. We are actually trying a different cleaning product now, and it's doing a better job! We hope you come back and try us again!" "Nice place, Nice Folks, Nice amenities, & off the beaten path. Family friendly area situated about 20minutes away from the main shopping /eating area. Clean beautiful beach nearby (less than a block or 2) & a few small eateries. The bugs/mosquitoes were TERRIBLE though & did not allow for any outdoor activities unless near the beach. Bug spray was not really effective either. All in all the residence was okay...beds were uncomfortable & creaked every time you moved. Despite the horrid bugs & uncomfortable beds we made the most of it." "I am sorry you encountered a mosquito issue. Unfortunately, from time to time we have to endure the pesky little creatures. The city of Gulf Shores is routinely spraying in an effort to control the problem. " "This house was set out in Fort Morgan and we loved the isolation! Only negatives were that we didn't know ahead of time it was a duplex (and we had very loud neighbors), and that you had to drive 20-30 minutes to get to activities in gulf shores. But the beach was one 2 blocks away and was wonderful! The pool was wonderful. Being set away from the chaos was very relaxing! We had a problem with the AC and they were very responsive and quickly fixed it for us! Would happily go there again!!! This one gets 5's!" "Rental was great! My only concern is the people on the opposite side of us may have been waken 2 nights because of one of our children waking up screaming.... Once because of a bad dream and once because of his sunburn (lied about having sunscreen). If given the opportunity, please send our apologies. " "The Rookery was a nice place to stay away from the busy Gulf Shore area. The pool was nice and the beach was a short walk or drive. Everything at 3402 was nice. There were no pot holders to remove food from the oven so make sure to bring some. Only down side were the bugs at night time outside.... "
"The family vacation was a great experience for our family. But I was somewhat pleased with everything. My family come into a less than prepared to what we were expecting, lights were not open, unit not clearly marked for night arrival, two light bulbs out, one TV of the three worked that night, they did get one other working before our departure. We enjoyed the distance for the beach, bike riding distance, far enough from town to not be bothered with the noise and traffic." "It felt like home. Check-in was so easy and everything was just as it said on the Sunset App. The only small issue was the internet not working and they came over real quick and they fixed it in a matter of minutes and no more issues the rest of the stay. 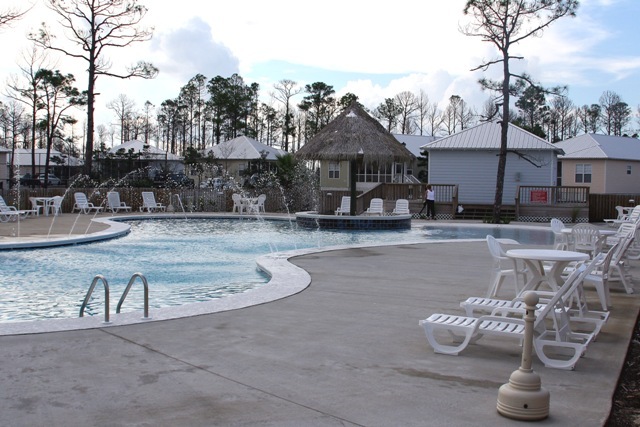 The location was great as it was just short walk from the beach and a short drive to Gulf Shores. All in all a great stay and very responsive to any needs and fixed them quickly." "Thank you for taking time to write a review of your stay in Rookery3402. Glad to hear that you found everything you expected in your condo and that your stay was enjoyable. That location is great for beach access and the pool makes the stay such fun too! We are sorry you had internet issues but glad that our maintenance staff was able to fix it quickly. We always strive to make every stay perfect in every way possible! We hope you will call us again soon to book your next stay. Sincerely, Sunset Properties Staff"
"It was a nice home for our stay with our 18 months old. Very well equipped and located. Great area." "Thank you for taking time to write a review of your stay with us in Rookery 3402. Glad to hear that you found the property clean, well equipped and everything your family needed to make your stay perfect. Please call us or go online to book your next stay with us soon! Sincerely, Sunset Properties Staff"
"We had a marvelous time. The cottage was perfect. The beach is a short drive from the cottage. (we had kids and lots of sand toys) The 2 pools were so much fun for the kids. The zero entry was a very nice touch. And the small pool right down from the cottage was great for adults to quietly talk and relax. Our cottage was nestled in the trees and gave a cozy feel to the place. We loved it and would come back again, definitely. The kitchen was well equipped and the beds were comfortable. Bathrooms were large enough to accommodate all. I would recommend this place to anyone. " "Thank you for taking time to write a review. We are glad to hear your stay with us was good and we hope you will call us to book your next stay with us soon! Keep an eye on our website and other social media sites for future specials and upcoming events in our area. Sincerely, Sunset Properties Staff"
"My business partner and I stayed in Rookery 3402 for 3 nights at the end of June and liked the place a lot. Sunset properties was great to work with. I had spoken to Katy the day before arrival and added another friend to the reservation so that he could pick up the key. He went out fishing and when he hadn't come by, Katy called and asked if she could go by and leave the keys and information packet in the house for us. Really good of her I thought. The place was clean and comfortable. It has nice furnishings and is plenty big enough for 4 people to stay in, and probably as many as 6. We will definitely consider this house the next time we come to Fort Morgan." "We are so glad that you and your party had a wonderful stay Mr. Walker. It is good to hear our staff exceeded your expectations. This particular Rookery property is the newest one on our rental program and we are so excited to have it. Thank you for taking the time to review this beautiful home and we hope we can accommodate you again very soon! Sincerely, The Sunset Properties Staff "
"Great island cottage. Plenty of room. Clean and quiet. Beach wasn't crowded. The kids really enjoyed the ferry ride over from Dauphin Island. We will definitely be back!!" "We are so glad you and the kids had a wonderful vacation! The ride from Dauphin Island is a fun one most people don't get to experience that because it is so busy we are glad you and your family had the chance to. We look forward to seeing you back very soon! Sincerely, The Sunset Properties Staff "